Discover Top Sewing Tricks & Learn How To Sew! Fiona Parker of Diary of a Chainstitcher! Whether you’re a seasoned sewer, or would love to learn how to sew, there will be something for you. Come along to the buzzing crafting studio and shop Fabrications, on Broadway Market in East London. There, you can spend a relaxing few hours after work discovering our beautiful ethical fabrics and learning the secrets from some of the best sewers in town. Then once you’ve watched the pros, you can have a go too! Tickets: £5 (+ booking fee). 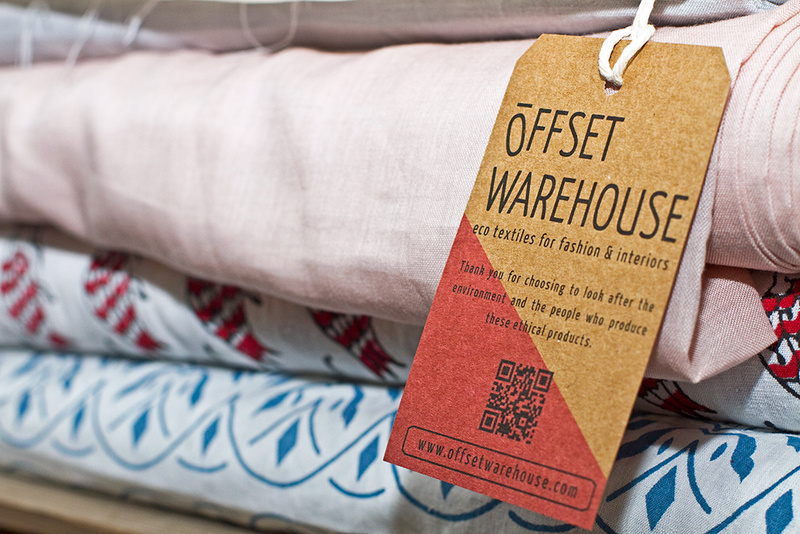 Your £5 ticket is redeemable on beautiful Offset Warehouse fabrics on the night! Please note: bookings are via Eventbrite only. As space is limited you must have a ticket to attend. 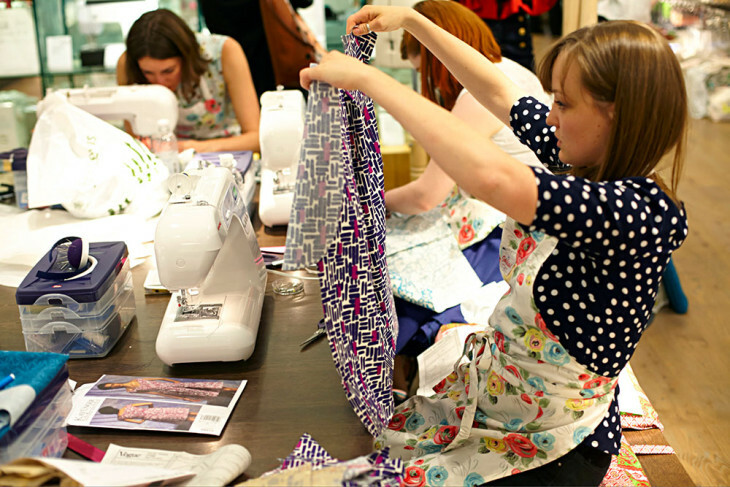 Are you coming to the #eco #sewingparty with @sewnsustainably & @FionaParker17? 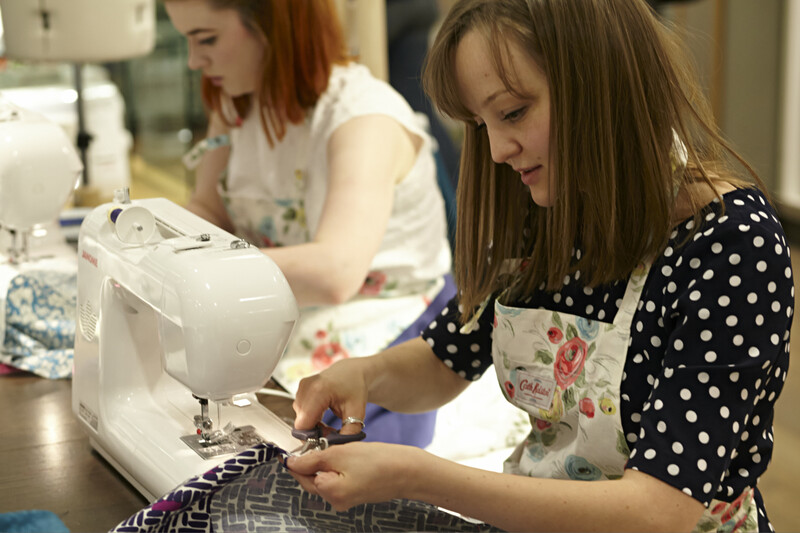 With Clare and Fiona manning the sewing stations across both floors, you can choose to be part of just one session, or dip into both. Both sessions will take you through how to put together a finished cushion cover from scratch, demonstrating key sewing techniques such as appliqué and inserting zips. Then, with your enthusiasm fired up, there are extra domestic sewing machines available so you can have a go yourself, with Clare and Fiona on hand to help. Of course, you can’t be expected to create without sustenance! 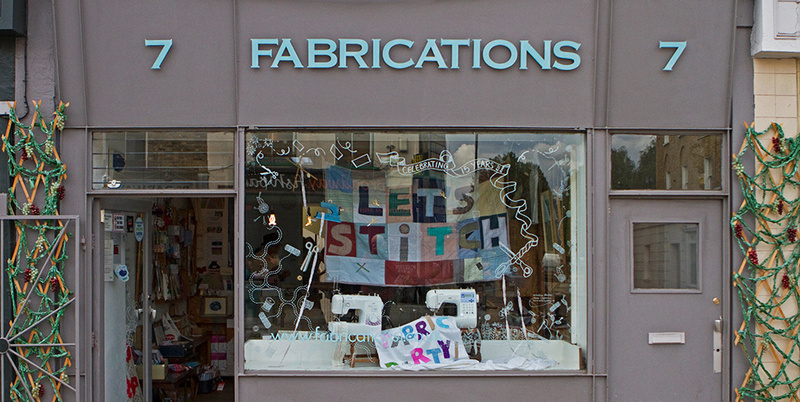 So to energise your creativity, Fabrications will be laying on a complimentary spread of delicious drinks and nibbles. 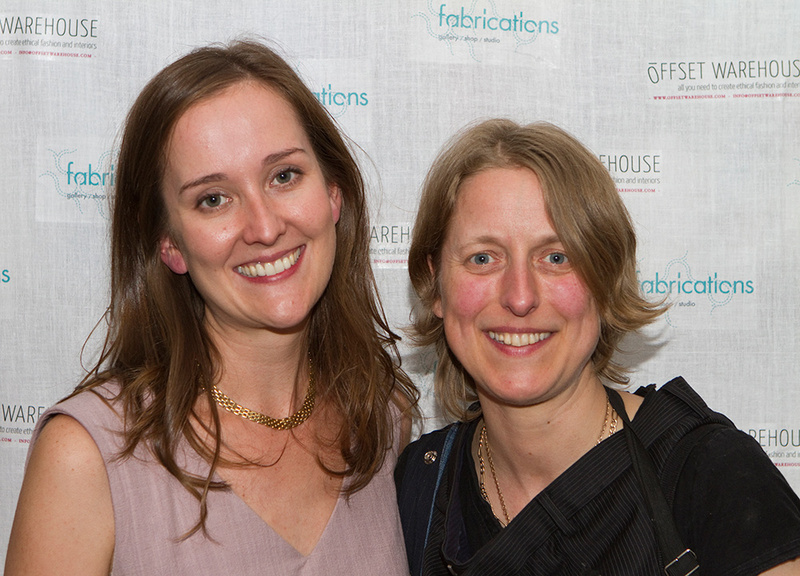 Fabrications stocks a stunning range of Offset Warehouse eco fabrics, and as part of the evening, your £5 ticket price is redeemable against your fabric purchase. All our fabrics are sold by the half metre, so you can opt for 50cm or treat yourself to much more… The Offset Warehouse team will be there on the night to tell you about how each fabric is made, what makes it ethical and answer any burning questions you may have. This is a great opportunity to network with like-minded people and industry experts, share your views and learn something new. If you’re interested in sewing, the design industry or how to make a positive change in the lives of those who create your beautiful fabric and clothing… we can’t wait to meet you. At the core of my work at Offset Warehouse is my passion to help the people who grow and weave our fabrics, and to prevent any further environmental atrocities associated with textile manufacture. It’s my goal to source the most beautiful, hand-crafted and fairly-sourced fabrics, trims and threads from across the globe, and sell from one to hundreds of metres at affordable but fair prices. Most importantly, you can feel good knowing exactly where your fabric has come from and who has made it. But it’s not enough! We want to teach as many people about sewing ethically. From home sewers, to big name brands – if you’re using fabric in your designs your materials purchases have the opportunity to make a huge positive impact! There are so many small changes we can make, which affect the lives of millions of textile and garment workers. We want to set a domino effect of knowledge into action. 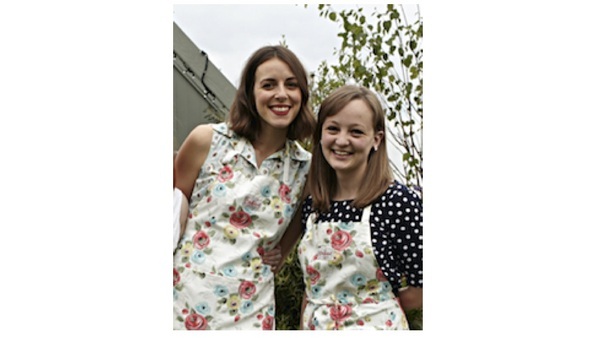 Clare (left) and Fiona (right) are our incredible sewing guests of honour! Don’t miss the chance to learn all the tips and tricks from these incredible sewers. Important : Bookings are valid with a ticket bought via Eventbrite only; Book your ticket here. As space is limited, entry can only be granted to attendees with tickets. Your ticket will allow you to redeem £5 off your fabric on the night. Tickets are limited so please do be quick if you’d like to attend!